!! OMG, “poop on the carpet”: Jennifer is a Party Pooper !! I too poop at parties, in fact I sometimes get so excited before the party I do a pre-party poop, and then when I take the party pill I have a post party pill poop…the gauge of a good party is the number of poops that happen inside of it. 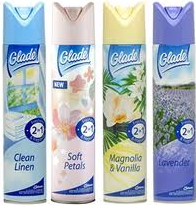 If the host runs out of Glade Air Puff or they have to run out to purchase multi-packs of adult diapers at 3 am, you know the party was a success [or maybe someone brought some DODGY SHRIMP COCKTAIL with them]! For poop’s sake Jennifer, close the door when you’re party pooping…please! 1 Comment on "OMG, “poop on the carpet”: Jennifer is a Party Pooper"
I’m getting a “Dieter’s Dance Party” vibe off this guy. Jennifah poops at pahties, I give it a fourteen out of fourteen…..